Vietnamese salad rolls from last summer. Tan-A Hong Kong-style Asian supermarket in Richmond. It’s nice to see your hometown, that southern, Confederate capital city that you’ve always looked down on, grow more diverse, especially when it comes to culinary opportunities. 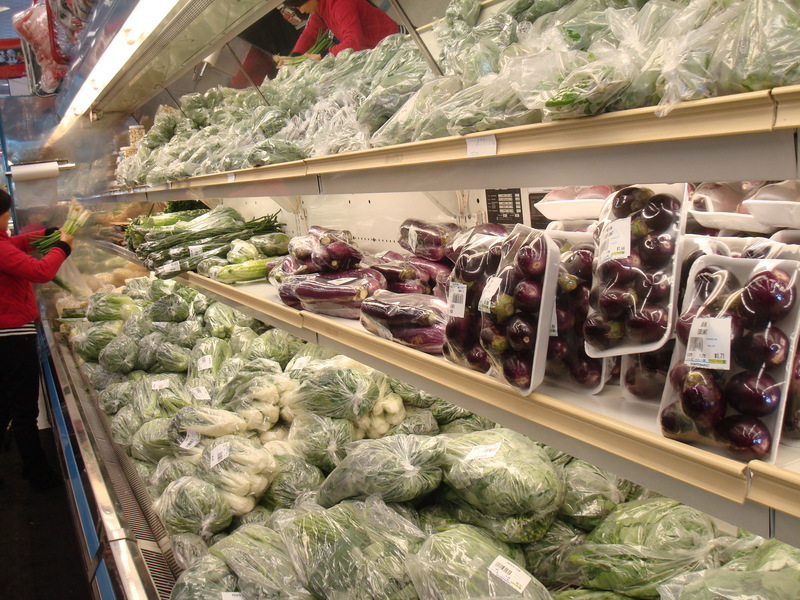 A tiny, whole-in-the-wall Asian market we used to frequent when I was growing up is now a full-fledged, Hong Kong-style supermarket that seems straight out of Elmhurst, Queens. Now my parents visit the store almost weekly, stocking up on anise-flavored purple basil, palm sugar and dried lemongrass, as Dad cooks up all things Thai these days: Ivy Manning’s zebra eggplant and chicken green curry, pad thai, spicy calamari salads. It seems they now eat Thai more nights than not. 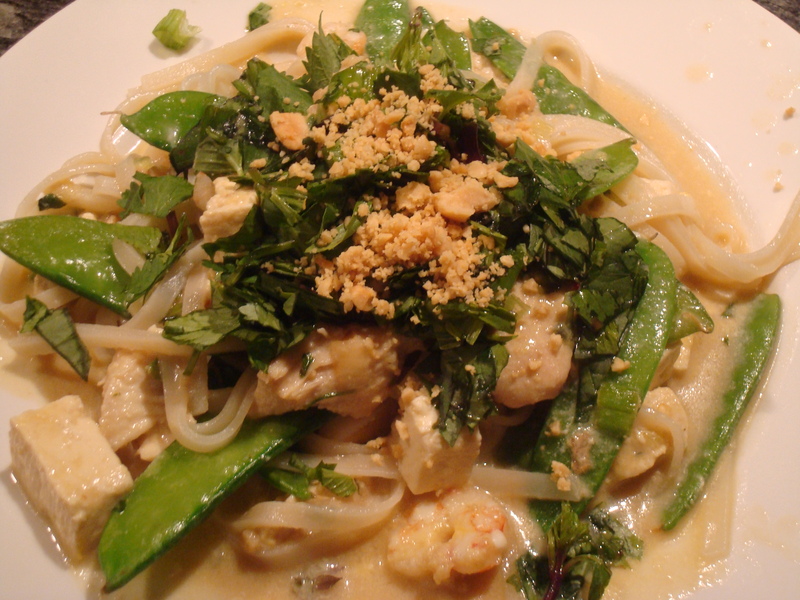 Dad wooed us with a coconut-creamy pad Thai the other night with shrimp, chicken and tofu. Then last night, I made refreshing Vietnamese salad rolls for my second time. You just wrap halved cooked shrimp, lettuce, Thai basil, cilantro, mint, cooked cellophane noodles and sliced carrots in those soaked, circular rice-paper sheets, like a mini-burrito. I’m still refining my technique. It’s hard to get the roll to stay closed without tearing the wrap. It’s also essential to get your peanut dipping sauce for the salad rolls right. I finally found a good one here, in Linda Doeser’s Chinese: The Essence of Asian Cooking, calling for plumy hoisin sauce and a smudge of tomato paste, for just the right sweet, tangy flavor. The Splendid Table’s one above would also work. But here’s Doeser’s recipe. Heat the oil in a small saucepan, and fry the garlic, chilies and tomato paste for about 1 minute. Add the water, and bring to a boil, then stir in the peanut butter, hoisin sauce, sugar and lime juice. Mix well. Reduce the heat and simmer for 3-4 minutes. Spoon the sauce into a bowl, add the ground peanuts and cool to room temperature. 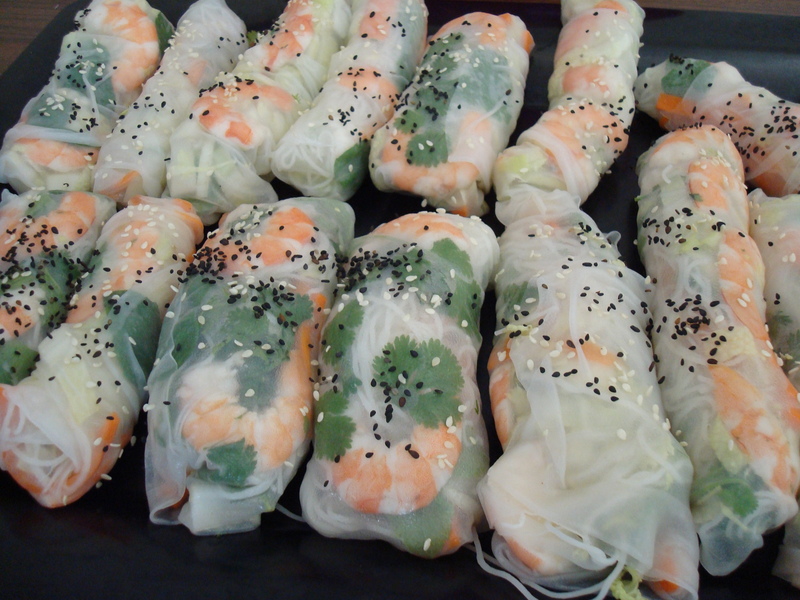 Serve with the prepared salad rolls, cut in half if you like, but watch for the contents, which tend to spill out. 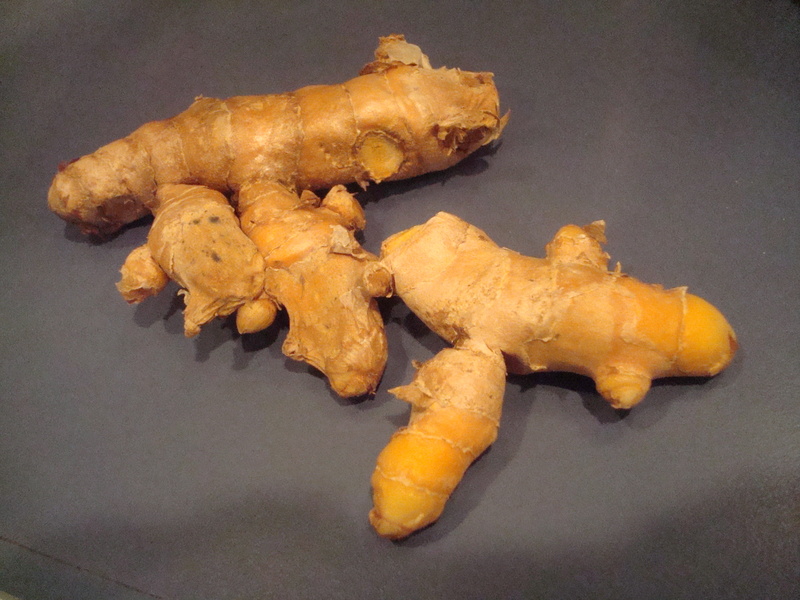 Fresh tumeric that Dad and I both discovered recently; he got his from Tan-A in Richmond.